Inspired by the bold, clean look of today's urban architecture, the Architect Counter Stool by Sunpan adds an ultra modern edge to your updated kitchen or dining space. 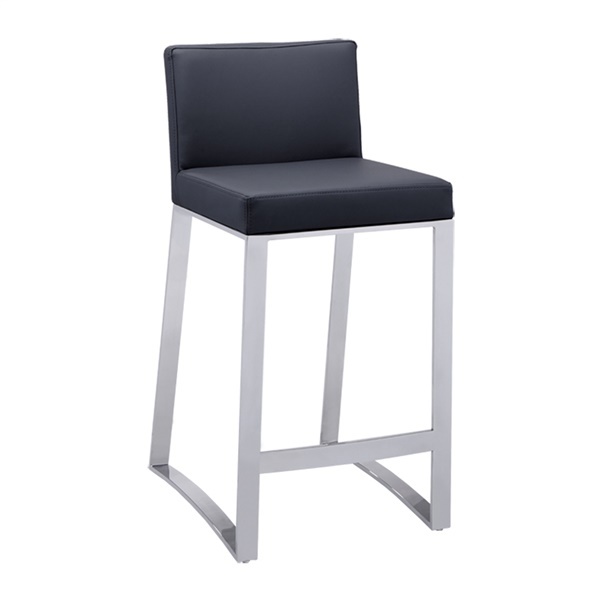 Designed for use in both home and contract environments, the contemporary counter stool is constructed from the highest quality materials, including sturdy stainless steel and plush yet durable California fire-rated foam. For added comfort and durability, the stool's seat is wrapped in soft, smooth faux leather while strong lines and sharp edges in the base enhance this piece's modern appeal. A minimalist design and your choice of upholstery color make the Architect Counter Stool a complementary addition to nearly any urban, contemporary kitchen or bar space.